When the disc opens with the sound of multiple church bells being hammered like gamelan instruments it may throw you off a bit. 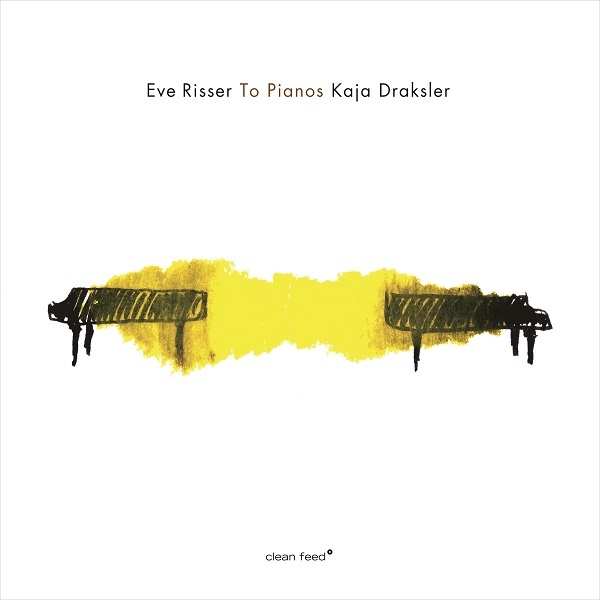 It's certainly not the sound you'd expect from a disc of piano duets, but it's Risser & Draksler – two of the most inventive musicians in European free music. When the Reichian precision begins to run amok the tires expand at uneven intervals, making the trip a bit more adventurous. Soon you'll become enveloped by the sound of total madness, as five different warped Cecil Taylor solo records scream for your attention. (RIP Sunny.) The calmness that follows is tinged with tension, feeling like the type of film score dirge that might be appropriate to play right before someone shows up to identify a body. This unnerving approach continues throughout this excellent recording, which was culled from two separate performances in Ljubljana, Slovenia. On the title track, both Risser and Draksler work with the innards of the pianos to pull out otherworldly drones and electronic feedback sounds that are meditative yet tense. This general sense of unease heightens your awareness, which naturally sharpens your ears in preparation for “Eclats,” a full-on exploration of the power of the keyboard. 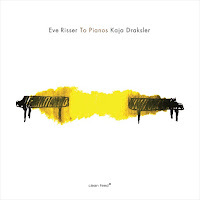 The clusters that the pianists throw at each other collide in midair, exploding with new possibilities which Risser and Draksler then break up into arpeggios with runs that sound like one four-armed genius at work. Duties are split on “Sestri,” “Kallaste, La Ville Abandonnee,” and “To Women” with one musician at the keyboard and the other one mining the instrument's guts. I guess the most basic premise of this concept is that the “guts” player serves as the percussionist, but that certainly isn't her only function. On “Kallaste,” the strings are plucked inside the piano, slightly out of the tonal range of the notes being played on the keyboard, which when combined sound like music melting. Again, the tension created between the slight tonal variations heightens the listening experience and raises expectations. Nearly halfway through “To Women,” the artists play what can only be described as dishpan gamelan. “To You” ends the disc with a quiet, brilliant call-and-response chess match.